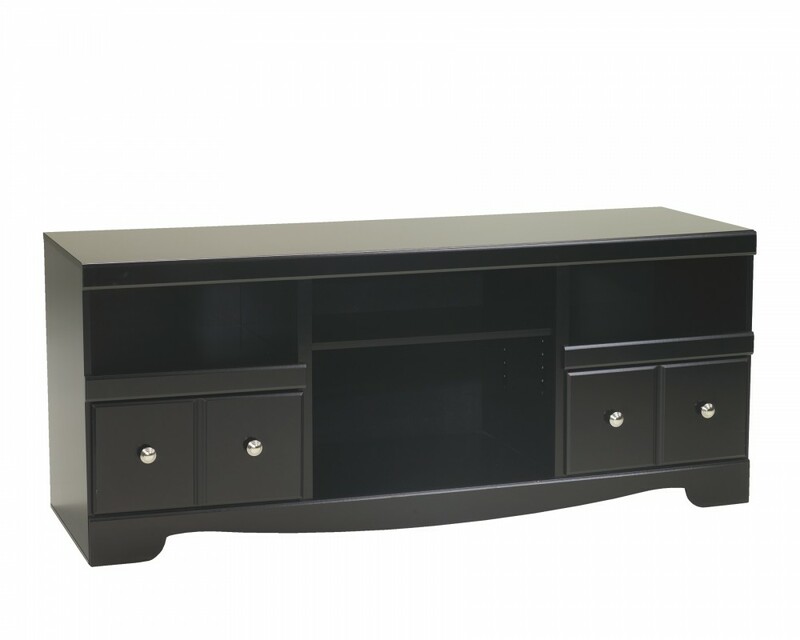 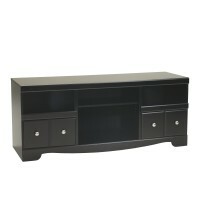 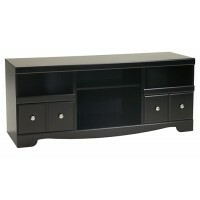 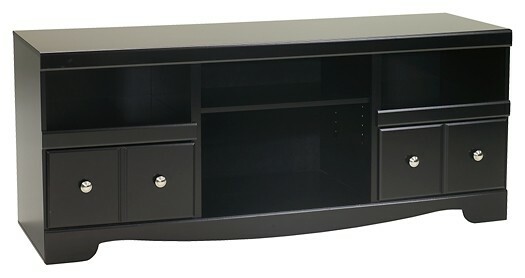 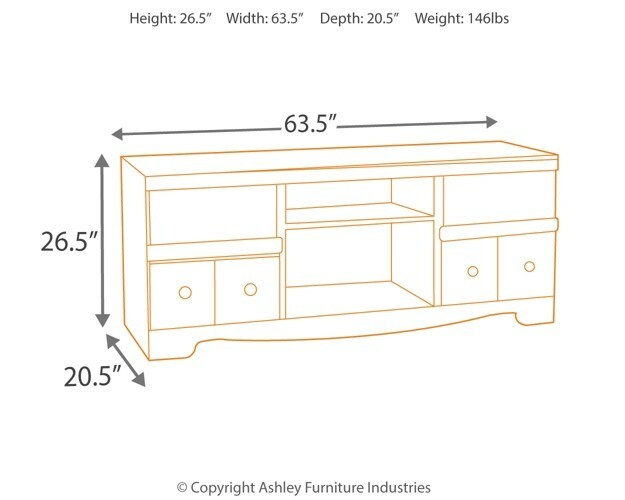 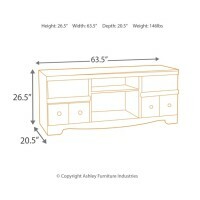 Blending a rich, dark finish with sleek, clean lines, this TV stand brings a highly contemporary vibe into your living space. 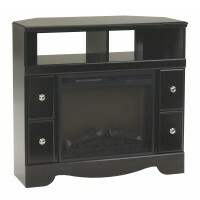 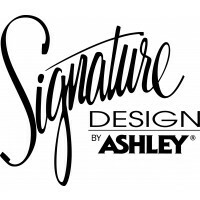 A warm undertone of merlot and an elegantly curved rail base keep the look sharp, not stark. 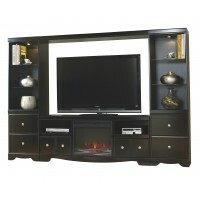 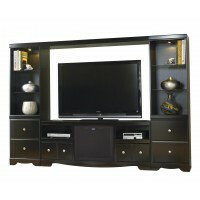 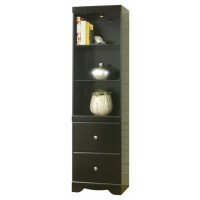 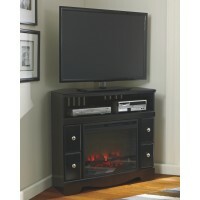 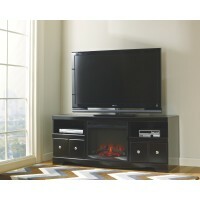 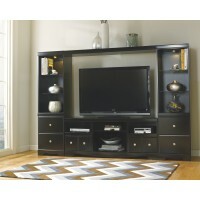 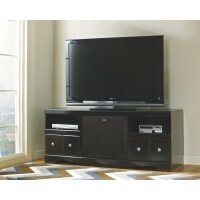 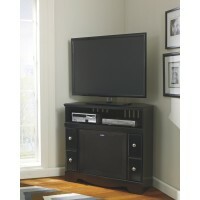 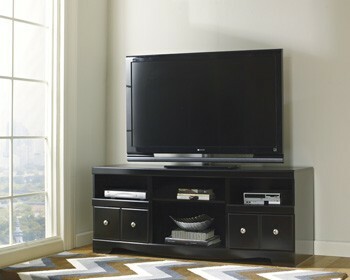 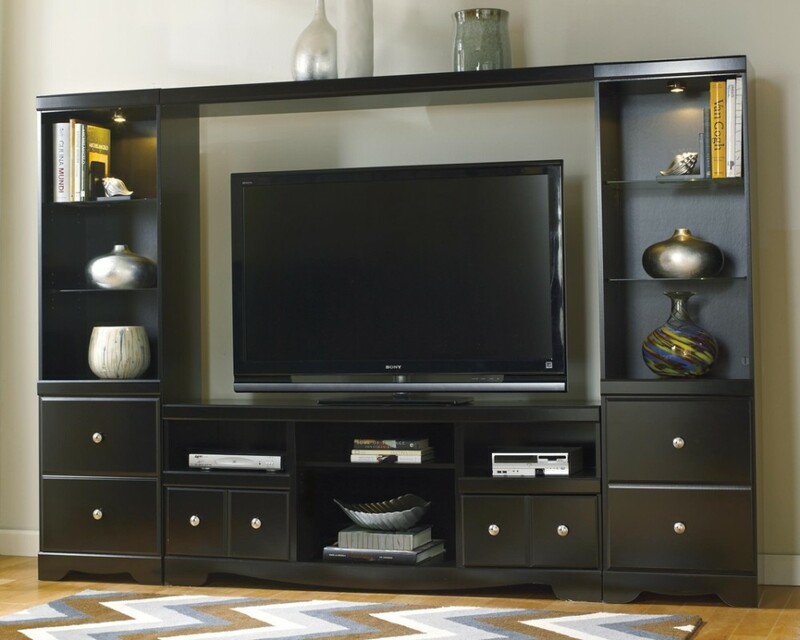 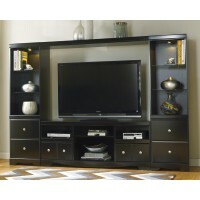 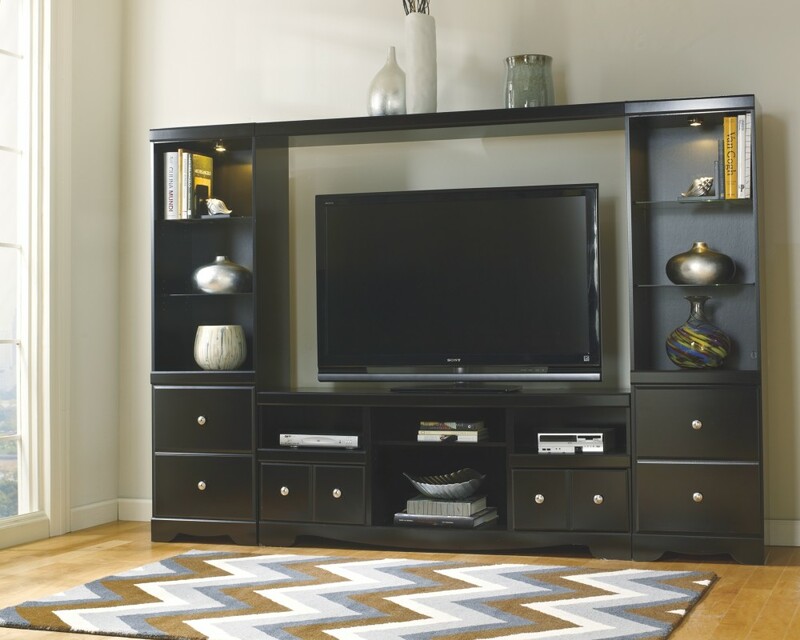 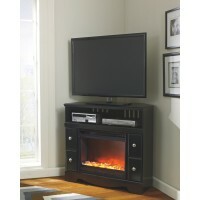 Adjustable shelving makes it easy to accommodate your media equipment needs and showcase pretty home accents.